During the eras of the G5 processors and the P4’s the goal of innovations has been mainly enhancements and improvements in speed and performance of the processors regardless of the cost. Since the dawn of the Core 2’s, however, the goals have been ever so slowly shifting towards savings and efficiency rather than performance in the processor world. Though I mentioned Core 2’s started the shift towards the efficiency of the processors, they are definitely not the only ones in the race. Today we review a processor not from Intel, but from their competitors – AMD. How will one of their newest energy efficient processors, the 610e, stack up against its competition? Read on and find out. Specifications are encouraging. 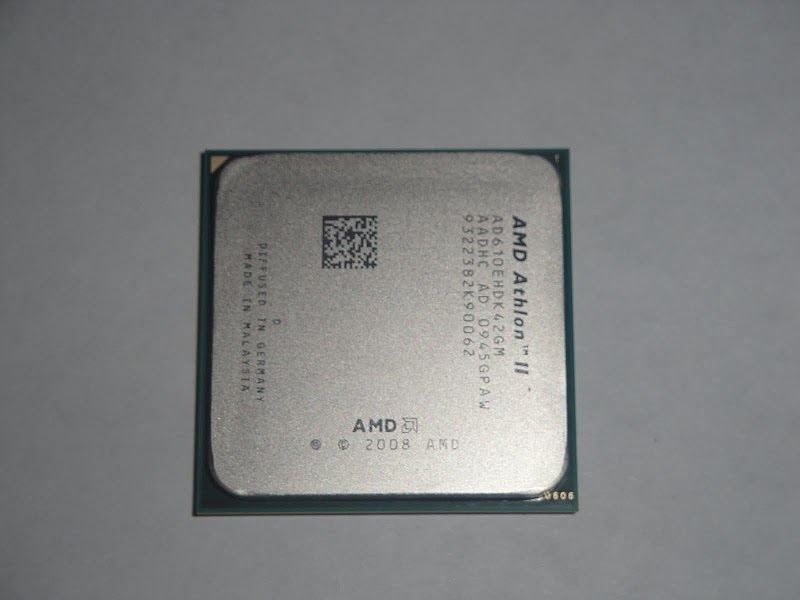 You are looking at an AM3 Athlon 2 processor which features a stock speed of 2.4 GHz that operates at 45 W (Comparable 45 nm i5 processor operates at 82W).